Mt. 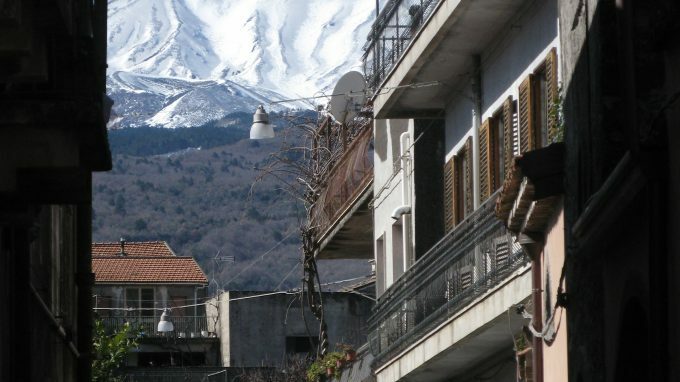 Etna, with its Nerello grape – the ‘Nebbiolo of Sicily!’ – is attracting great interest & investment in its ancient vineyards, or Contrade as they are known locally. The region was apparently first recognised by the poet Teocrito in the 3rd century BC, but more recently, post WWII, the volcanic slopes were home to circa 50,000 hectares, producing mostly vino di taglio (blending wine) that was then shipped all round Europe to bring a ray of sunshine to more famous French & Italian AoCs & DoCs! Now the Etna DOC region has shrunk to closer to 1,000 ha, as many of the former terraces lie abandoned – quality over quantity! Skip forward to the 2000s, when the likes of Passopisciaro, Terre Nere, Frank Cornelissen & Alberto Aiello Graci recolonized the old ‘palmenti’/wineries & revived their (Roman) alberello vineyards. Apart from the lure of juicy EU subsidies, these ‘pioneers’ identified the rich patrimony of ancient vines, many nearly a century old, whose health has been sustained by zeolite-rich lava soils that act as a naturally disinfectant & reduce the number of treatments required! The tiny 3 ha Contrada of Tartaraci in the comune of Bronte is one such vineyard, whose promise & potential was identified by Graci & handed to his bride to be, Mirella Buscemi, in 2016 in return for her hand. Lying at close to 1000 metres above sea level (asl), this ancient single plot was famously once the proud possession of Lord Admiral Horatio Nelson, to whom it was bequeathed in 1799 as part of the Duke of Bronte estate in recognition of his fleet’s action in fighting off the pesky French! The vineyard is unusual in that the Nerello Mascalese & Cappuccio vines are joined by those of (Bourbon?) Granaccia (Grenache) to bring a soft tannin & fragrance to the sinewy structure of Nerello! Similarly, for whites, the Calabrian Grecanico (or Greco-Calabro) grape was planted alongside steely Carricante to bring fruitiness to the final wine. Mirella’s two wines are made in tiny quantities alongside those of Graci’s in his Castiglione di Sicilia ‘palmento’. Also located in the Castiglione di Sicilia is, ironically, one of Graci’s friends Rori (Parasiliti), his wife Cinzia & their daughter Sandra – otherwise known as SRC Vini – who fell in love with the wines of this extraordinarily beautiful part of Sicily having tasted the fruit of Alberto’s vines (& wine)! Originally from Catania nearby, Rori also presented his wife Cinzia with a gift of 0.5ha of the Crasà vineyard in 2013, before then proceeding to buy another 7.5ha! They also own vineyards in the neighbouring Contrada of Randazzo (home to Cornelissen), & thrive on the naturally low yields of their ancient vines. They too have followed tradition by making their Rosato from both red & white grapes; the latter from Minnella, Carricante & Catarratto, so imbuing the wine with more verve. Meanwhile their top wine ‘Alberello’ is 100% Nerelo Mascalese, pure & sinewy, & their single ‘Rivaggi’ cru, it too lying at close to 1000m asl, has some Granaccia in the blend to bring perfume & charm!